No one was hurt in a minor Q train derailment in Brooklyn Friday morning, the MTA says, but the subway derailment -- the second in less than a month -- is causing major service changes for riders on multiple lines. Erica Byfield reports. No one was hurt in a minor Q train derailment in Brooklyn Friday morning, the MTA says, but the subway derailment -- the second in less than a month -- caused major service changes for riders on multiple lines all day, along with other issues across the system. Signal problems at Jackson Heights-Roosevelt Avenue in Queens and a sick passenger at 49th Street station in Manhattan exacerbated subway issues later Friday afternoon, delaying the E, F, M, N, R and W trains. Video posted to Facebook shows riders filing through the cars of the stalled subway train during the sick passenger emergency at 49th Street. Earlier Friday morning, MTA spokesman Kevin Ortiz says the second set of wheels of the second car of a southbound Q train came off the rails south of the Brighton Beach station shortly before 9 a.m. A rescue train responded to help customers off the stalled train. MTA's interim executive director, Ronnie Hakim, said there were 135 people on the train. Chopper 4 was over a train derailment at Brighton Beach Friday. The derailed train was put back onto the tracks by around 3 p.m. The southbound Q train stopped running during the work, and service on the B line was shut down completely for a brief time. Limited service resumed slowly throughout the day, and by 5 p.m. normal service resumed on the B and Q lines in Brooklyn. 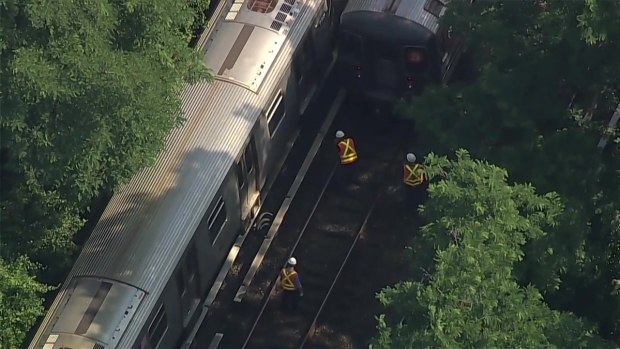 Chopper 4 over the scene showed nearly a dozen personnel in reflective vests standing in the tracks around two cars of the stalled subway train. A cause of the derailment is under investigation. Hakim said there's a slight curve in the tracks where the subway car derailed, but it's not clear that factored into the mishap. The derailment comes less than a month after 34 people were injured when an A train derailed near the 125th Street station in Harlem. 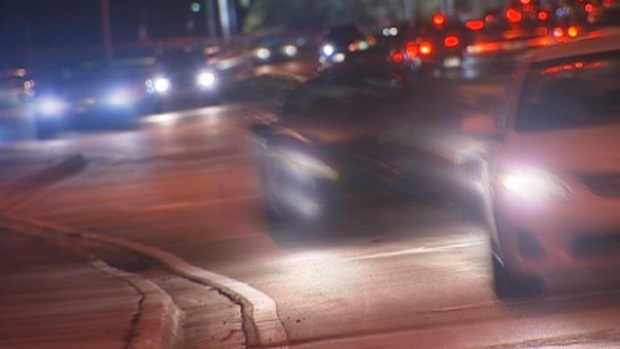 In that case, on June 27, terrified riders were stranded in darkened, smoke-filled cars for two hours in some cases. 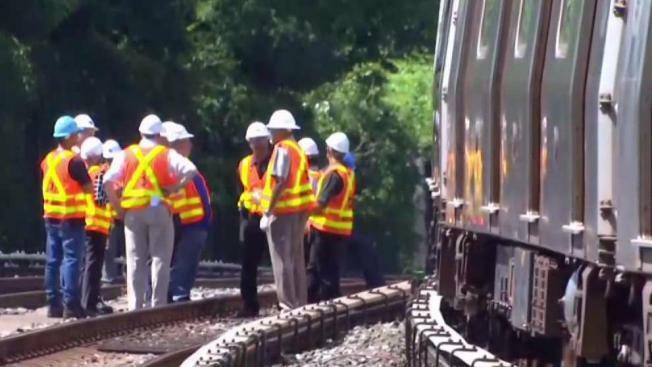 The MTA said that derailment was caused by an improperly secured rail. Two supervisors have been suspended. While Gov. Cuomo predicted a "summer of hell" for NJ Transit and Long Island Rail Road workers amid Amtrak's months-long overhaul of Penn Station, city subway riders have thus far been subjected to a worse predicament. The 112-year-old system has been plagued by a series of signal problems, mechanical breakdowns and now possibly two derailments in the last few months. City Council Speaker Melissa Mark-Viverito says the latest nightmare underscores an urgent need for increased funding at local and state levels. "Millions of New Yorkers rely on our subways each and every day to get around our city, and they deserve a safe and reliable form of public transit," she said in a statement. "Instead of wasting time pointing fingers and arguing over who controls the MTA, we should be focused on finding solutions to these urgent transit issues." The second week of Amtrak's Penn overhaul has been marked by constant delays on almost every mode of mass transit in the tri-state area -- and almost none of the issues have to do with the infrastructure work at the Manhattan hub. There's plenty of blame to go around -- manpower shortages, signal problems, stalled trains -- but to commuters trying to get to work on time in a heat wave, the cause doesn't matter as much as the effect. The Danbury Branch had 30-minute delays due to a switch problem. A Port Jefferson to Long Island City train was delayed west of Jamaica and then cancelled due to equipment trouble. Switch trouble delayed a handful of trains, including the 5:39 a.m. from Montauk to Long Island City and the 7:57 a.m. from Ronkonkoma to Penn. A Ronkonkoma train to Penn Station was delayed at Jamaica because of police activity. At least three trains left Hoboken late Friday morning due to what NJT called "operational issues." Two New York Penn Station departures were also delayed for the same reason, and one from South Orange. Four trains from various points were delayed due to mechanical problems. One bus was delayed and another cancelled due to mechanical issues, while a third bus was cancelled due to operational issues. A minor Q train derailment in Brighton Beach wreaked havoc on B and Q service in Brooklyn. No injuries were reported. Signal problems at stations in Queens, Brooklyn and Manhattan affected service on nearly a half-dozen lines at various times throughout the day, with the F, M, E, 2 and 3 all experiencing delays. Southbound E and F trains were subject to service changes and delays because of a train with mechanical problems at Roosevelt Avenue. Delays were affecting M and R trains as well. Separately, mechanical issues on trains at Church Avenue and Sixth Avenue delayed F, G and L service. More than a half-dozen Twitter users complained about no air conditioning on a No. 1 train on the third straight day of temps in the 90s. The MTA responded that it would investigate and apologized for the inconvenience.